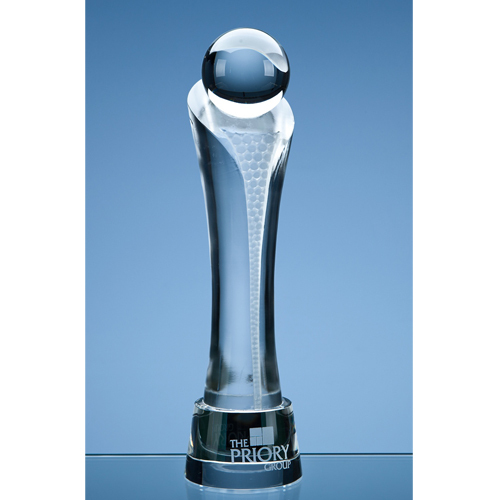 The ultra stylish 'Eclipse' award is crafted out of perfectly clear optical crystal and features a sphere mounted on the top of the cylindrical column. There is an attractive frosted design hand cut into the crystal which runs the full length of the column. The column is mounted onto a clear circular base that can be engraved with any crest, logo or wording to create an award that is sure to take pride of place when put on display at home or at work. It is supplied in a satin lined presentation box.